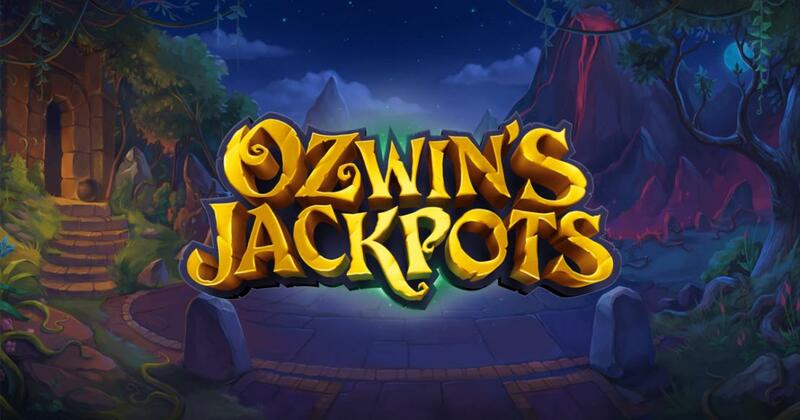 Ozwin’s Jackpots is a game that deals in magic, offering us five progressive jackpots and a beautiful design, as only Yggdrasil Gaming can create. Yggdrasil Gaming is a developer that manages to prove once again in Ozwin’s Jackpots that they are among the best designers of slot machines around, at least when you look at the graphics that they manage to implement. The beautiful design of Ozwin’s Jackpots first takes us to a forest, which is shown on one side, while the entrance to a wizard’s tower appears to be on the other. The reels give us images of card suits which look like they’re made out of precious stones, along with magic orbs, Solar dials, potions, a white owl and Ozwin himself, which appears to be a mage, or an apprentice to one. The crystals are also used in the design of some of the slot’s buttons, including the one that triggers the Spin. At the top, you will have five different progressive jackpots listed, from low to high value. 5×3 reels will sport 20 fixed lines in Ozwin’s Jackpots. The aim would be to trigger the biggest progressive jackpot, the one called Archmage, or a fixed prize of up to $20,000. The game has features that include free spins, multipliers, collectable symbols, scatters and bonus games. Like it happens in plenty of other slots, you have to pick the coin denomination, which will then be multiplied by 20, to get you the total bet. The coin being worth $2 at most, you can spend $40 per spin if you want to. To get the reels going, you can also go as low as $0.20. One of the important features that you get in this slot is the Spellbook scatter, which in turn will give you access to a bonus game by appearing three times or more. You can also get paid up to 10,000 coins, if you have enough Spellbook symbols. The bonus game will have 18 spellbooks for you to choose from and get rewards from. The other feature is called Jackpot Free Spins. Triggered with 3 to 5 Blue Orbs, it can also come with a good payout of up to 10,000 coins, if there are enough of those scatters. 3x multipliers get applied to all wins here, plus if you collect certain symbols you can trigger more free spins (red shards) or even progressive jackpots (5 identical red orbs). Ozwin’s Jackpots is capable of impressive any player, and it does it all with its gorgeous graphics and its free spins and bonus games. As always, this is a slot from Yggdrasil Gaming that is worth checking out.